First time ARES users need to request a new password. You will receive a notice to the email address on file with the MLS allowing you to set your password. Get started. 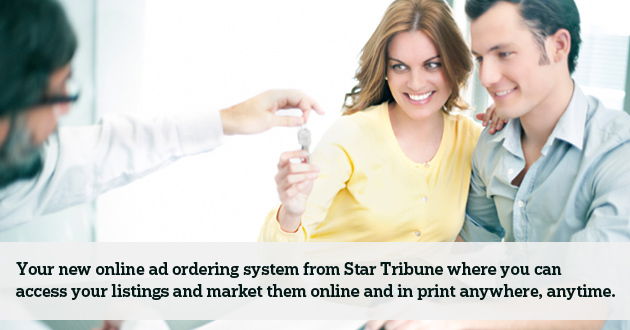 Control your Star Tribune print and online real estate advertising. ARES lets you optimize your real estate advertising by targeting listings to an audience of motivated homebuyers. Subscribe to an Agent Marketing package and track your listings’ performance. You can also contact our Real Estate Sales Team to get answers.